I am at present going through a very emotional and stressful time at work with my manager and senior staff I'm constantly having to watch my back. I can't relax. I'm on edge. I find it difficult to concentrate. I'm having difficulty with my sleep, and I find I'm constantly going over what's happening at work in my head even when I'm not there. I spend most of my time dreading going into work never knowing what to expect. My situation has been going on for years. I am always questioning what's happening and I find myself breaking down and I've been accused of being "too sensitive". Comments for Target of Workplace Bullying Asks, "What's Happening To Me?" Sleep problems, feelings of nervousness and anxiety, tearfulness, inability to concentrate, hypersensitivity and an overwhelming sense of injustice are symptoms of stress and post traumatic stress disorder (PTSD). I am concerned that this has gone on for so long. Stress is not to be taken lightly. Extreme levels of stress are common in cases of workplace bullying and mobbing. Mobbing (group bullying) has been described by Prof. Kenneth Westhues, as "the stressor to beat all stressors". You need to see your doctor and let him or her know what you are experiencing. Not all doctors are aware of the dynamics of workplace bullying and may attempt to blame you in some way. This is an attribution error but you must persist. If they don't understand bullying and how extreme the levels of stress can be you may have to find another doctor. The same applies to mental health professionals. According to Glynis Sherwood, MEd, CCC, when deciding on a prospective counselor you need to find one that "understands that you are a victim of abuse and does not confuse psychological injury with mental illness. They must be familiar with the emotional and physiological symptoms of bullying and neither minimizes nor misattributes symptoms to other problems." You will likely need to take some time to let yourself heal and find effective and healthy ways of dealing with stress. 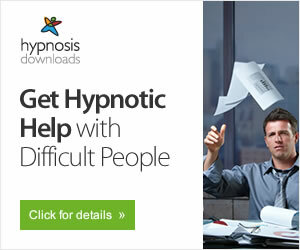 Have a look at our "Stress Management" and "Health and Wellness" sections for more information. Once you are strong enough you may need to find a better place to work. Workplace bullying is not your fault. 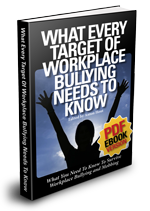 Employers that engage in or tolerate bullying do not deserve talented employees. Leave and find a company that respects and values its workers. One of the sorrowful traits of victims is their willingness to be victimized. I can understand that you could be bullied at work, but not that you have allowed the situation to "go on for years". Get out of there ASAP before you lose what's left of your marbles. If there is no other work where you live, move or stay home and grow beans in your backyard. While I agree that finding a better workplace is a good idea in this case your comment, "One of the sorrowful traits of victims is their willingness to be victimized." perpetuates a myth. Bullies will often justify their behavior by claiming that the target wants, deserves and even likes to be abused. You will note this is similar to what perpetrators of sexual assault claim of their victims as well. Far from being willing victims many targets of workplace bullying try to stand up for what they know is right. The injustice and destructiveness of bullying is obvious and many targets believe that once management is made aware of the problem it will be corrected. Unfortunately, many are unprepared for the surreal response from many companies and HR departments. They dig in their heels and fight. At each stage they are sure the next level of management will see the injustice and costs to the company. This cycle can go on for years. Many times finding alternate work is not an option. For example, targets of workplace bullying or mobbing are often in vertical job markets where there are few other employers in a highly specialized field. The option to "stay home and grow beans in your backyard" is not realistic for most of us. However, considering the damage being done, I agree that exploring other employment options or the possibility of starting her own business would be well advised. I was in a very similar situation - I spoke with my boss about her and I was told that he really really liked her - 1 week later I was fired with no just cause on my letter. Yes, exactly, I went through the same things, notice I said went. If you are like me, then all you wanted to do, was go to the job you like and do your work, don't bother with the politics, and try to be effective and do meaningful things and if possible, have meaningful relationships with others you work with. Guess again, I thought I must be crazy that I felt the way you described, but when I began to believe in myself again, I realized I had no choice but to resign, as hard as that is to accept, because they win, it is really a hollow victory for them, because you take your integrity with you. The one thing they try to usurp from you. Hang in there and be true to yourself. You are not alone, Good Luck! Maria : I know the economic climate is not the best for jobs at the moment but please leave this place before you end up in a worse health situation. I didn't leave a place where I got seriously bullied and ended up with Shingles/Backpain, put on betablockers and what for because I was good at my job and was a threat to two idiots that had the emotional intelligence of a 6 year old. I SAY TO ANYONE THAT FINDS THEMSELF BEING BULLIED BELIEVE IN YOURSELF. IT WAS JUST A "HAPPY ACCIDENT" THAT I CAME ACROSS HARD EVIDENCE OF SABOTAGING OF MY WORK "or a mistake on my part as Dr Jekyll and Mr Hyde would have claimed :-))" BUT IF THINGS JUST DON'T ADD UP THE THINGS YOUR BULLY MIGHT BE CLAIMING ABOUT YOU ESPECIALLY IF YOU KNOW IN YOUR HEART AND SOUL YOU JUST DO NOT MAKE MISTAKES LIKE THAT OR THAT OTHER STAFF VIEW YOU LIKE THAT (projection) - BELIEVE IN YOURSELF. ITS HARD WHEN THEY MAY HAVE ALREADY PUT SO MUCH SELF DOUBT IN YOU BUT BELIEVE ME YOUR GUT INSTINCTS WILL LET YOU KNOW YOU ARE NOT JUST DEALING WITH A DIFFICULT OR STRESSED COLLEAGUE WHO NEEDS CALMING, EVEN IN THE EARLY STAGES OF THE BULLYING PROCESS/SOMETHING JUST SEEMS SO AMISS FALSE ABOUT THE PERSON(S) EVEN THOUGH YOU JUST CAN'T PUT YOUR FINGER ON IT. I have had suicidal thoughts due to the level of harassment from the boss who has violent mood swings, swears at me, makes up stories about me, questions everything I do, leaves me out of communications then berates me in front of employees and clients for not knowing something. Medications, severe anxiety, depression, fear, suicidal desires, lowered immunity to common illnesses, inability to react to questions, confusion, irritability, weight gain, high blood pressure all because of this horrible woman, who has destroyed me and taken years off my life. I no loner look forward to activities that I once enjoyed, I hate getting up in the morning, Monday through Friday is hell, Sunday is filled with dread. Obviously said by someone who bullies! "One of the sorrowful traits of victims is their willingness to be victimized." What an idiotic and insensitive thing to say - for a start we are not victims we are targets! We are simply people who want to work, we are not interested in office politics, we have no agenda - and yet we have idiots who think nothing of wasting valuable company resources for their own needs and entertainment. Most of us just want to keep the peace because quite frankly we the need the money and there is a part of us that can not believe that this is happening. The abuse of targets never ends. I'm guessing your in management at a company that has bullying problems.